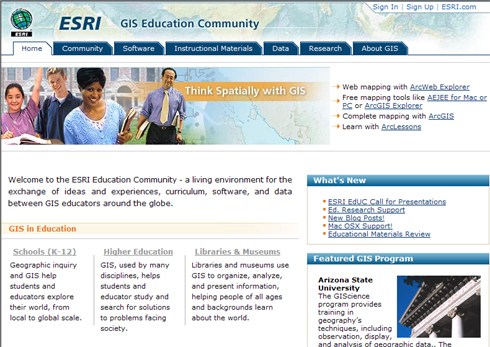 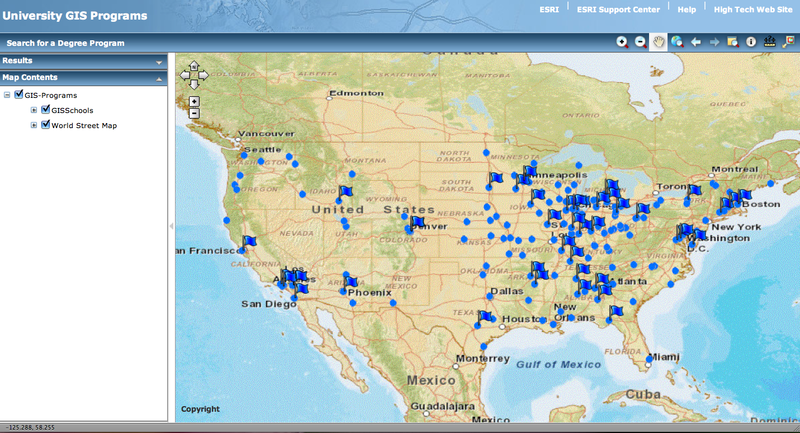 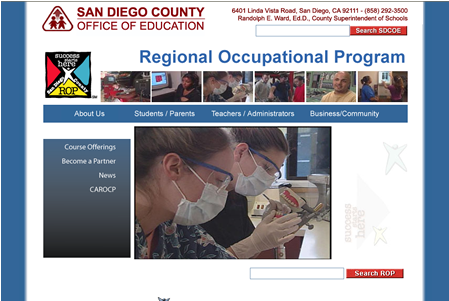 GIS educators are able to exchange their ideas and experiences, curriculum, software, and data here. 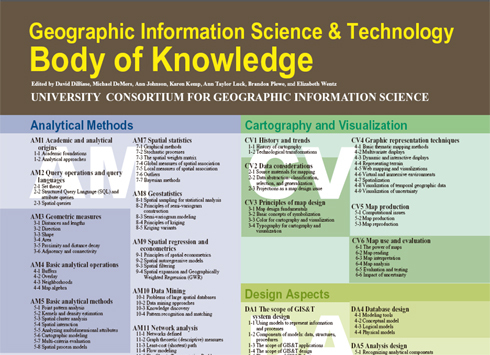 Outline of Core Curriculum in GIScience. 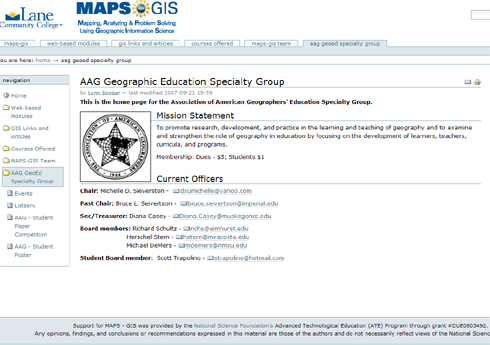 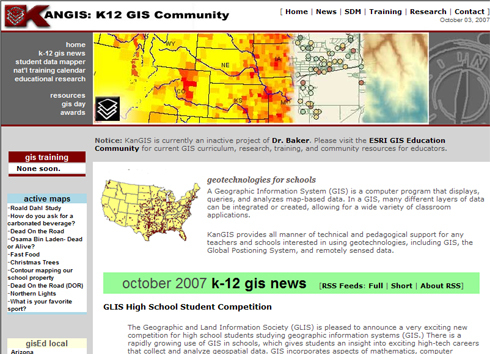 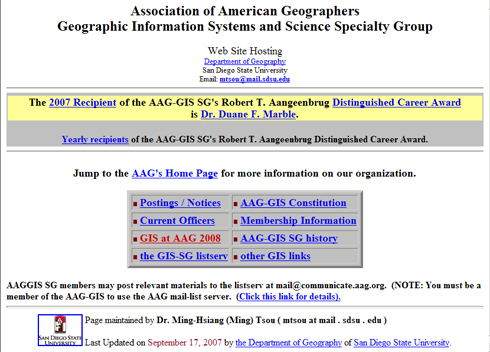 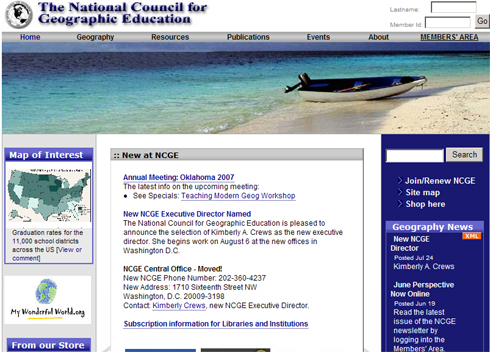 (http://www.ucgis.org/priorities/education/modelcurriculaproject.asp) Geographic Information Science and Technology (GIS&T) Body of Knowledge specifies what aspiring geospatial professionals need to know and be able to do.